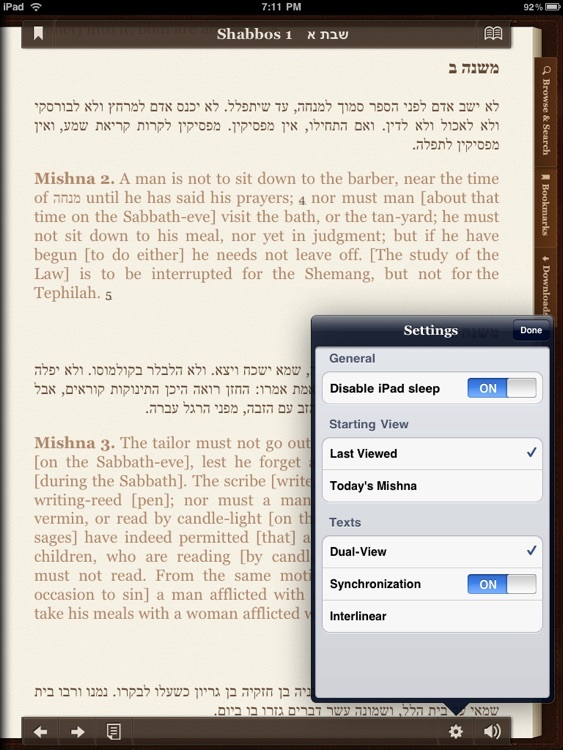 The iMishna iPad Edition is here! 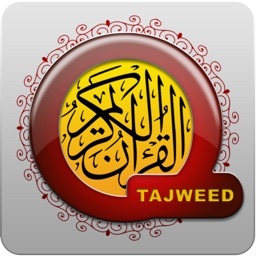 It includes brand new features and a stunning new interface designed specifically for the iPad. iMishna takes advantage of the iPad display and offers stunning high-definition graphics and interfaces to make learning the Mishna an even more pleasurable experience in both portrait and landscape modes. iMishna includes a comprehensive English translation. Thousands of hyperlinked footnotes have also been included for more detailed explanation. Most Masechtas have an English translation and we will continue to add more with future free updates. 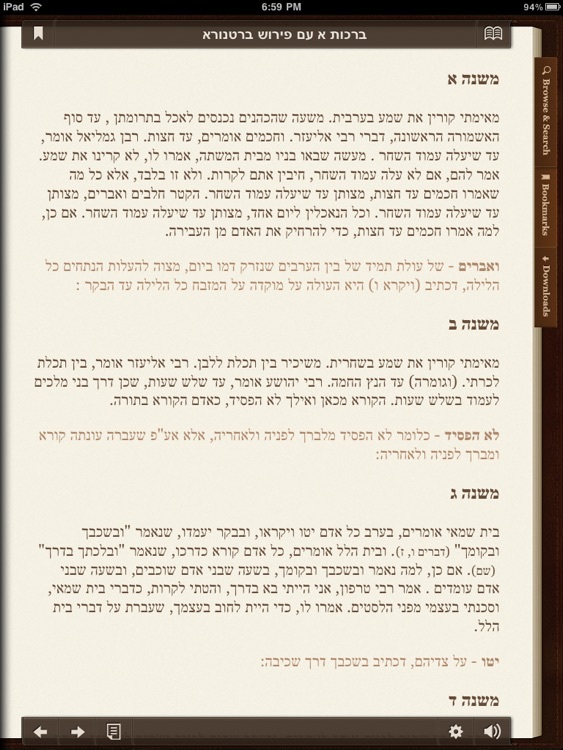 The English can be viewed in a seperate window (Dual-View Mode) or in an interlinear format. 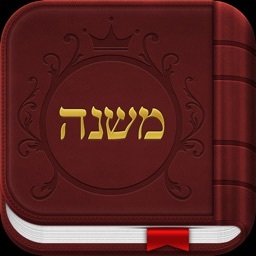 iMishna includes the insightful, hebrew commentaries of the Tosfos Yom Tov and Bartenura. Just like the English translation, commentaries can be viewed in a seperate window (Dual-View Mode) or in an interlinear format. 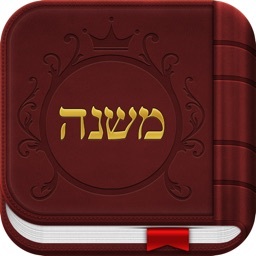 You can also browse by Seder, Masechta or jump to any specific chapter (Perek) with just a couple of taps. Please contact us with suggestions and constructive critique. 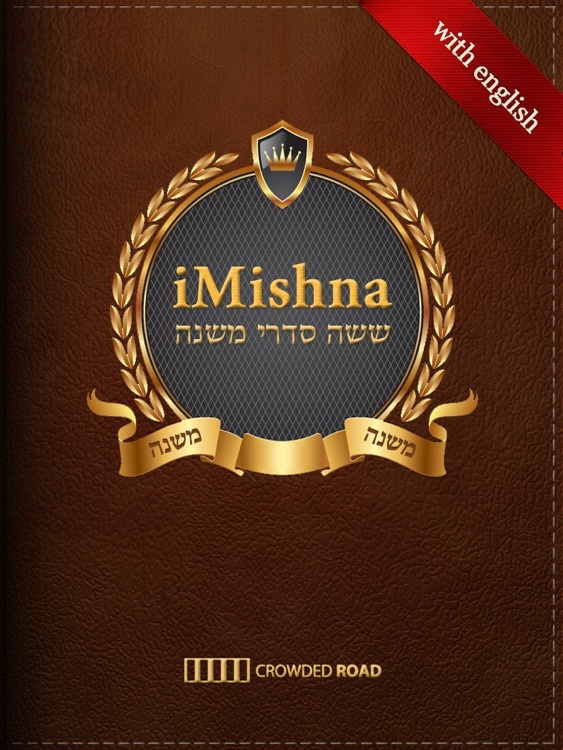 We are hoping to build iMishna into the perfect application based on community feedback.